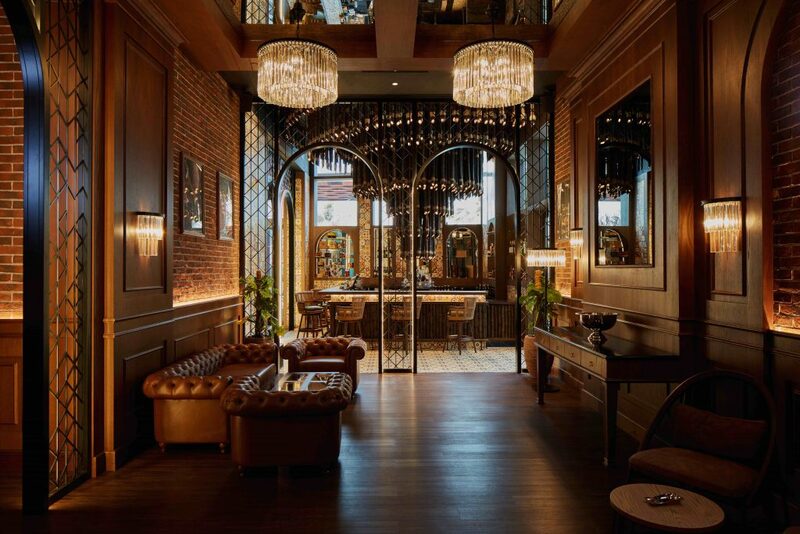 Those that like to perch at the bar – elegant cocktail in hand will love Havana Social Club’s chic bar area. Centered round a dramatic bamboo light installation, the circular bar is the ideal place to pull up a moss green leather pew and settle down to watch expert mixologists at work. Alongside Havana Social Club’s drinks menu, a light menu of authentic Cuban bites will help fuel a night of dancing. Transporting guests from Bluewaters to Cuba every Wednesday with live music and spontaneous dancing, ‘Noche Del Ron’ is the chance to enjoy unlimited rum cocktails and two bar bites for just AED 175 per person from 7pm – 9pm. On Thursday nights, Havana Social Club hosts ‘Alama Latina’ – a ladies night offering three hours of complimentary wine and cocktails from 8pm – 11pm. Combining live music, professional singers and dancers and unlimited cocktails, these weekly fiestas are the perfect pre-weekend excuse to party Havana style.